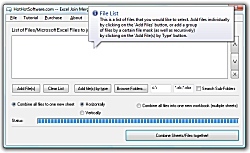 Excel Join Merge and Combine Multiple Sheets Into One Spreadsheet Software! Get it now! Only $29.95 U.S. (Regular $49.95 US!) for a limited time! Once you've decided how you would like to merge the sheets (the order), you simply click on a button, and voila! The excell sheets are combined together! 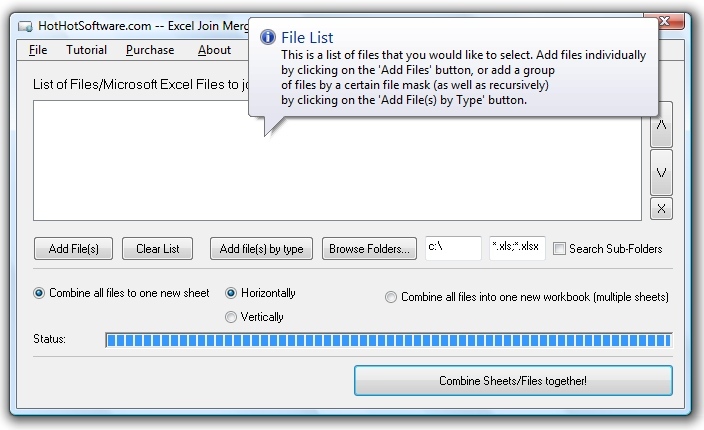 Try out this great microsoft sheet joining software today!